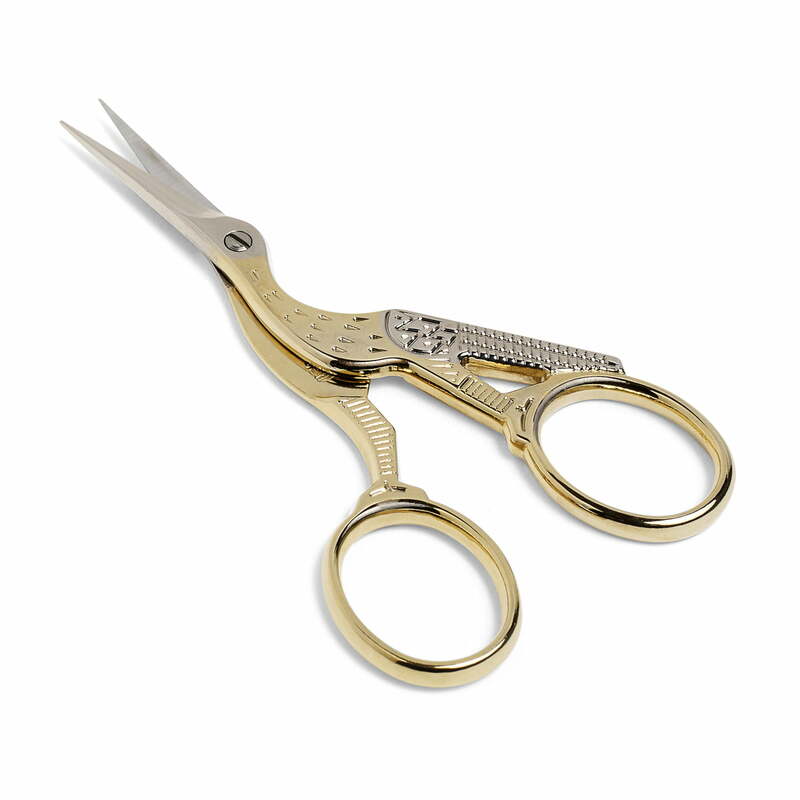 The Hay Beak scissors are not only perfectly suited for cutting of gift ribbons, paper, and other things, but also features a particularly decorative look. The look is reminiscent of the shape of a bird. While the blades act as beak, delicate carvings give the idea of feathers. Even the colour design makes for an eye-catcher. Made of steel, the blades and a part of the handle is silver, while the rest is gold. This makes the beak scissors not only a useful tool but also a special eye-catcher in the bathroom or on the desk. Individual view of the Hay - Beak nail scissors. The scissors in the shape of a bird with contrastive gold and silver detail make for an absolute eye-catcher in the bathroom.